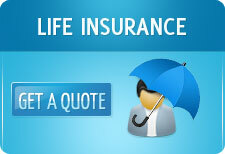 The annual sales figure of the Indian life insurance industry for 2010-11 are now available. This has indeed been a tumultuous year for the industry, with the new regulations on Unit Linked Insurance Plans (ULIPs) coming into force from Sep 1, 2010. In certain cases, the private life insurance players have had a sales dip of as much as 35% post the new regulations taking effect. However, the overall dip has got masked due to the robust performance in the first half of the financial year. Gradually, the life insurance industry is finding its feet post the regulations and reported traction in sales during the month of March, 2011. The biggest beneficiary of the new regulations has been LIC, the big daddy of insurance in India. At an overall level, the life insurance industry has reported a growth of 15% over the previous year. The industry grossed new business premium of Rs 1.26 lakh crores in FY10-11 over Rs 1.09 lakh crores in FY 09-10. However, most of this growth was accounted for by LIC which recorded a 22% increase in premium to Rs 86,444 crores from an earlier 70,891 crores. In the process, LIC increased its market share of the overall life insurance market by 4% from 64.86 % to 68.7%. The private life insurance players, with a combined premium of Rs 39,381 crores and a market share of 31.3%, reported only a 3% growth in new business premium in this financial year. However, that tells only part of the story. In the last 6 months since when the ULIP regulations came into force, the private life insurance industry would have had a significant de-growth which has been hidden by the stronger performance prior to the regulations taking effect. Clearly, the top 5 private players are ICICI Prudential, SBI Life, HDFC, Bajaj Allianz and Reliance Life while there are 14 life insurance companies at a market share of less than 1%. A detailed look at the business premiums of the private companies throws up a list of companies which have had a significant increase in premium, while at the same time, a few have lost ground. IndiaFirst Life has recorded a significant increase of 250% premium growth, though on a significantly low base. DLF Pramerica and Aegon Religare have also shown an increase on a low base, but the most impressive increases are for Canara HSBC Oriental, HDFC Life and ICICI Prudential Life , all of whom have recorded increase of +25%. However, a few private life insurance companies have registered significant degrowth. MetLife, which lost the Axis Bank relationship, registered a decrease in premium income of as much as 34% (it is in the final shortlist for the PNB Bancassurance relationship, and could possibly make up the lost ground). Birla SunLife’s new business premium was 30% less than last year, while Bajaj Allianz Life Insurance had a 22% decrease. It would be interesting to see how the life insurance industry performs in the current financial year, which would be the first full year since the watershed regulations on ULIPs took effect. In the long term, the changes brought about would be healthy for the life insurance market in India. The pensions product, which used to account for 30% of the market and for all practical purposes was killed by the new regulations, would also come back to life in this financial year as IRDA is planning to bring about changes from its earlier guidelines. All in all, it promises to be an interesting year ahead. very helpful sir, thanks for postingg. This is really a nice information thanks for the post.